Avid fans flocked to the iPad nonetheless, and they'll probably drive demand for the watch – meaning Apple's unusual dual stature as the biggest cap company on the planet and a doyenne of hipsters will remain intact. If the Apple Watch proves to be the iPad of 2015, it means Apple's valuation has nowhere to go but up. Cook's presentation was preaching to the choir, of course. Despite the interruptions of his speech by the carefully screened audience of sycophants' applause, the logic of the watch's actual value remains elusive. There was a tedious video (and in-person walk on) by model Christy Turlington (an unusual choice given most Apple fans' intellectual pretensions) about "advocating for women" and running marathons in Tanzania with an Apple Watch. But this gave no insight into what the watch could do that Fitbits or a dozen other products – many of which are on the downhill side of popularity – already do. In fact, Turlington said nothing about any of the so-called health apps that Cook rolled out, all of which already exist in various forms and can be linked to existing smartphones. Another concern is that Cook couldn't roll out any developers at the event. That may be because everything the Apple Watch runs will be a ported version of the apps written for the iPhone. Yes, they do have a number of health-related apps specific to the watch (and its pedestrian ability to read the wearer's heart beat) but again, none of these break new ground. Nonetheless, given the cheerful, sheep-like reaction of the audience to Cook's every word, it's very possible that the Apple Watch will be the iPad of 2015. 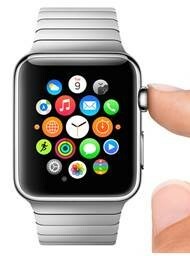 The actual added value of the watch to consumers may be as irrelevant as the original iPad's was in 2010. The iPad took off, luring in developers that ported or re-invented apps to be optimized on the iPad, making it a home run for Apple. This may be true of the Apple Watch. In fact, Money Morning Defense & Tech Strategist Michael Robinson said last month that the company was undervalued. "You know, there's a lot of stocks out there without the same value proposition, the same global tech ecosystem, companies that don't have nearly [Apple's] margins that are selling at substantially higher than $170 a share," he said. Quite simply, the numbers justify a much higher Apple stock price. Even the consensus estimates of the analysts themselves made it clear AAPL stock was worth more than the $123.41 consensus estimate at the time. Despite its ham-handed rollout – which required not one, but two unveilings, the first being last September – Apple's legions of slavering, zombie-like fans will ensure enough uptake to give the Apple Watch a strong launch. Whether it skyrockets like the iPad, or muddles along like Apple TV, at least it won't hurt the company's prospects. What an awful diatribe about the new watch. You people must hate Apple. Surely you could have transmitted the information in a more professional manner. I am not sure I will look forward to anything else you have to say on any subject, considering the tone of this article. Do you subscribe to the Rush Limbaugh School of Journalism, or to the Bill O'Reilly School? Shame on you!